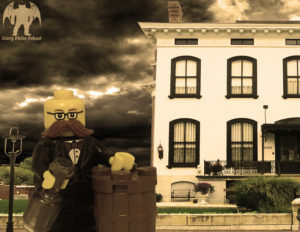 Crack open a cold one and settle in for a detailed history of the Lemp Mansion! Home to one of the most successful and tragic families in St. Louis brewing history, Lemp Mansion stands as solemn reminder of both accomplishment and sorrow. In part 1 of this 2 part mega-sode, David delves deeply into the history of the Lemp family, including their humble beginnings and triumphs all the way through their anguished downfall. Few families can match the tragic Lemps. While money came easily, death might as well have been the dispenser of it. In the upcoming second part, Flora will relay the chilling accounts born of the untimely ends and secrets kept within the walls of the stately home. Grab your stein and nicest lavender outfit, this trip through St Louis’ Gilded Age will leave you kegging for more!